Curtis Tonge, the chief executive officer of First Domestic Insurance Company (FDIC) is refuting rumours that the Government of Dominica gave his company a grant of EC$ 5 million to assist FDIC in paying out claims to policy holders affected by Hurricane Maria. In an exclusive interview with the SUN newspaper, Tonge confirmed that his company had received money from government but it was a loan and not a grant. "The Government of Dominica has been good enough to provide us with a loan of $5 million and I repeat it's a loan of $5 million for ten years at a small interest rate of three percent and had to give properties as securities. If we had to go to the bank it would have been at seven, eight, nine or even ten percent interest. "We are still talking to government to see how they can further assist us because I am confident that there are other ways of solving this problem. We are also hoping to talk to local investors like the Dominica Social Security. It must be noted that our case is not one of poor or bad management but it is as a result of an unprecedented hurricane that you have never had in the last one hundred years," Tonge said. On 18 September 2018 category five Hurricane Maria slammed into Dominica turned roofs into tiny pieces of paper, smashed walls into virtual dust, lifted roads, snapped communication towers, left vegetation looking as if it had been destroyed in a massive forest fire, and turned lives into an unending nightmare. After an assessment, Government estimated that damage and losses in the housing sector was extensive. The assessment indicated that the hurricane damaged approximately 90 percent of the housing stock of 31,348 homes; approximately 4,700 houses (15%) were destroyed; 23,500 (or 75%) were estimated to have incurred different levels of partial damage, and 3,135 (10%) were considered as not affected by the event. Total damage to the housing sector was estimated at EC$956 million (US$354 million). FDIC, one of Dominica's leading insurers, was expected to cover many of these losses. The company boasts, on the internet, of being the "first and only General Insurance Company" and that it is "currently the largest general insurance company in Dominica", a position it has held from 1997 to date. Curtis Tonge helped establish FDIC in 1993. Commenting on its current predicament, Tonge said FDIC was still in the position that it was in about two months after Hurricane Maria. "We had over 4,000 claims and have paid out about 3,500 claims with about 400 still outstanding. After hurricane Maria, we were the company that was settling claims the fastest. To date, we have paid out over one $100 million as a local company and I must admit that at this time payment is slow," he said. Tonge said the reinsurance coverage that FDIC had for the past 20 years did not stand up to Maria and FDIC is now in a tight financial position. "There is a certain amount of reinsurance that you buy to cover your exposure and for us for the last 20 years it has worked. We have increased it, but then again Hurricane Maria was one of the hurricanes that took everybody by surprise and so we did not have sufficient cover. We have paid out all that we have received for reinsurance coverage and in addition to that I have paid out from my personal resources monies to pay claims," he said. He continued: "However, it is good to say that we are having discussions with other insurance companies from overseas who have shown an interest in wanting to buy shares in the company. We are also talking to financiers overseas to either provide us with a loan fund or who will buy shares and put equity in the company. It does not take one day to complete negotiations and so what we have done is written to our policy holders and said to them that we need up to December 2018 to pay all our claims because we need time to negotiate with prospective joint partners. I must say that the discussions that we are having is very encouraging." Tonge said FDIC pays over $120,000 monthly in salaries to staff; it employs 20 people. 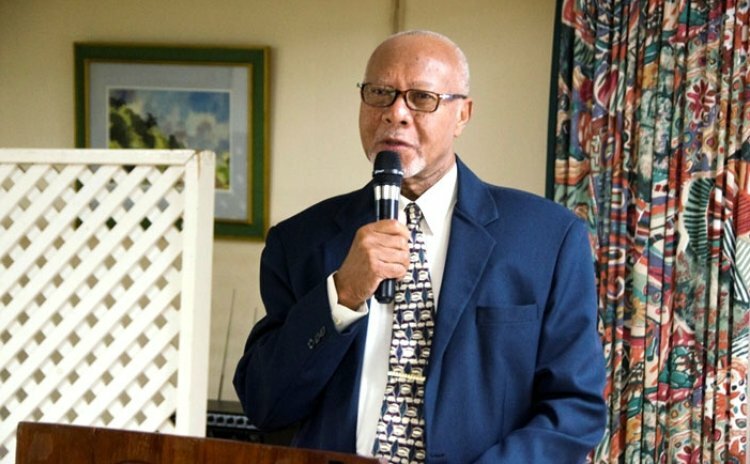 "This is money in the Dominica economy; we also make a significant contribution plowing it back into the country by way of scholarships and grants to people. So what we have paid yearly amounts to over one and a half million dollars in salaries for a year," he said. Under the heading "Grants and Contributions" the amount of $5 million formed part of the Schedule of Supplementary Estimates January to June 2018 that was presented to parliament last week. The reason provided by the Government: "Amount required to assist First Domestic Insurance Company to meet its financial obligations."